Remo Jose Pasillas ArtBEAT Artist Collection Drum Head 14 in. 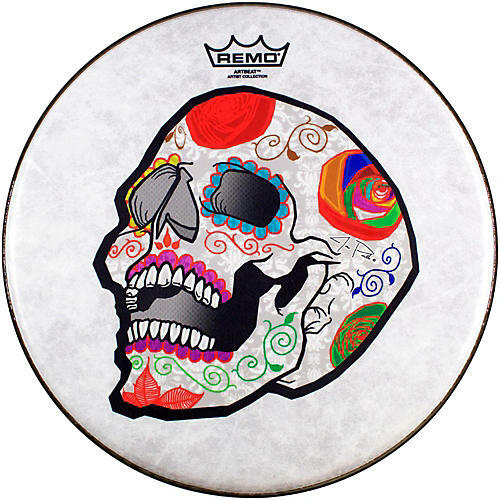 The ArtBEAT Artist Collection José Pasillas Candy Skull drum head features Remo's proprietary graphic process that infuses the image on the Mylar drum head with original artwork by Jose Pasillas of the band, Incubus. It's constructed with 1-ply of 10-mil Skyndeep film with a 5-mil clear bottom dot. Available in 14 in. and is ideal for all snare drumming applications.